Our seventy-first show debuts on Wednesday, April 12, at 8:00 PM Eastern. Rebroadcasts will take place according to the Crusade Channel programming schedule (note: all times listed are Central time). The topic is Father Denis Fahey, Apostle of Christ the King. My guest is Mr. Douglas Bersaw, Founder and President of Loreto Publications. I have somehow been closed out of Disgus and cannot figure out how to get another password. Also I cannot sign in with Google who always says they will send me an email to comment via Google but Google never does, so I am commenting here. I read the article, Father Fahey on Anti-Seminism — by Fr. Denis Fahey at catholicism.org, but I have reservations or maybe misunderstandngs about what is stated in this excerpt from the article. I do not understand “anti-semitism” as hatred of the Jewish nation. It so happens that the occupiers of the nation of Israel are mainly persons who hold to the ideas of, or if you will, the “religion” of “Jewish and Masonic naturalism. I do not hate any nation and I do not hate any person but I do hate anti-Christ ideas and subversive forces and movements which I deem are of Lucifer or Satan. I think nations are neutral and God does want there to be individual nation states. The Jewish persons at the time of Christ, each one of them. had a decision to make, that is, deciding whether Jesus was the Messiah. Some of them said yes, He is the Messiah, and those people formed the beginnings of Christ’s Church, the Catholic Church. Some Jewish persons rejected the Messiah and some of those persons began organized rebellion against Logos. This is essentially the way E.Michael Jones explains it and it makes much more sense to me than that paragraph. I read and own The Kingship of Christ or Organized Naturalism and it was most helpful to me to get a better understanding of “organized naturalism” but the book did not clearly say much about the “Jews” or make it clear that most of the rejectors of Christ are part of organized naturalism forces and movements, such as Masonry. It sounds like the only kind of “nations” that can possibly be rightly ordered nations are nations where Christ is the true King over all. That sounds wionderful but I do not know anything about that and have not seen the Church ever teach me anything about how to move my country toward under Christ’s Kingship. My apologies for the delay in replying to you. I believe you are assuming that “the Jewish Nation” in the way that Father Fahey is using the term is identical to the modern State of Israel. Father Fahey wrote his book BEFORE the founding of the state of Israel (he speaks, in the piece you cite, of a review of his book published in “in the Jesuit magazine, La Civilta Cattolica (Rome, March, 1947).” Israel, the modern nation, was founded on May 14, 1948. So, when he speaks of “The Jewish Nation,” he is speaking of the plurality of the Jewish people. He uses this expression frequently in his works. 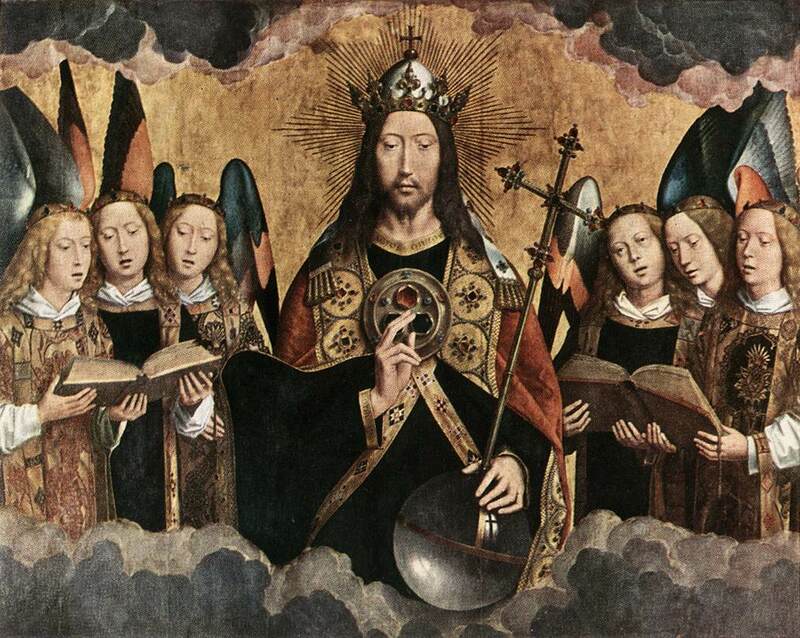 You can find an explanation of the doctrine of Christ the King here: http://catholicism.org/for-christ-the-king.html (it is an article by yours truly). Thank you for your reply. I still think further explanation would be helpful to many people who may have questions or comments similar to mine. I’m not the only one confused. Permit a couple of rhetorical questions. Did the plurality of the Jewish people kill Jesus? Is the plurality of the Jewish people simitic? You’re welcome. I realize that you said those questions were rhetorical, but permit me brief answers. (1) The legal representatives of the Jewish Nation at the time of our Lord agitated to have Him put to death. Saint Peter, in the Acts of the Apostles, certainly accuses him fellow Jews rather indiscriminately of the death of Our Lord. But that does not mean that a modern-day Jew has inherited the guilt of this. All he has inherited by blood is what we all have: original sin, which comes to us through our common father Adam’s corrupted seed. (2) It is certainly a disputed point (among Jews and non-Jews) whether Ashkenazi Jews are Semites. Jewish author, Arthur Koestler, holds that they are descended from the Turkic peoples known as the Khazars. This is not an area of great importance to me (I’m being personal here), because issues of faith and morals are much more important than bloodlines. To my knowledge, absolutely nobody questions whether Sephardic Jews are Semites.